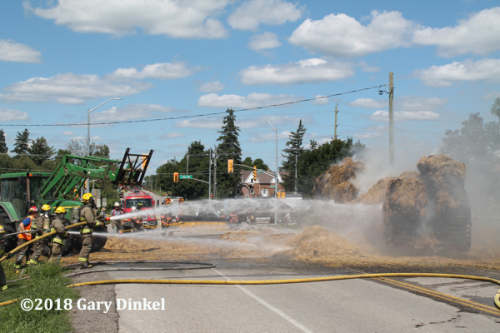 Kitchener (ON) fire dispatch toned out Conestogo, Maryhill, Breslau, and St Jacobs for a fully-involved trailer fire on Katherine Street North at Line 86 August 10, 2018 at 14:00. 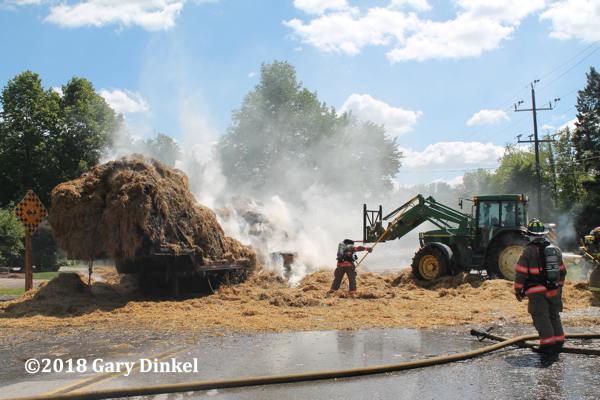 The trailer was loaded with 20 bales of straw. 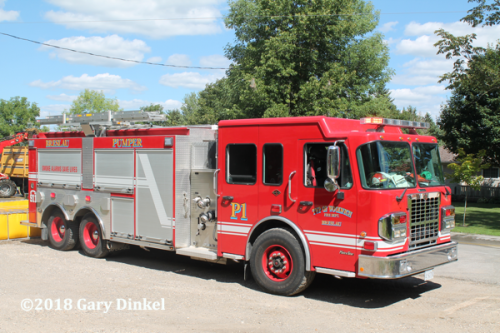 Conestogo arrived on scene first reporting a fully-involved trailer, no exposure issues, and were setting up on the south side of the fire. 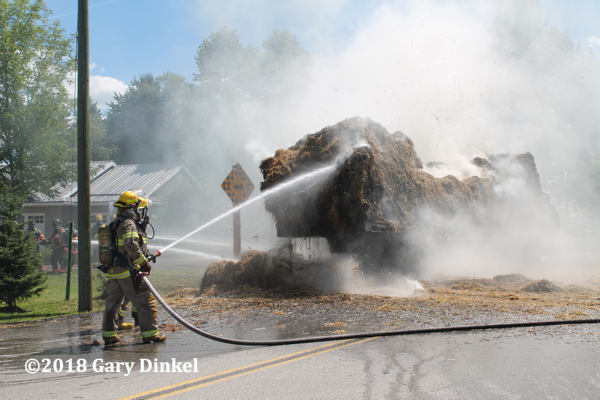 Command advised Maryhill to respond with their pumper and tanker and set up on the north side of the fire off Line 86. Numerous small and large hand lines were pulled from both pumpers. 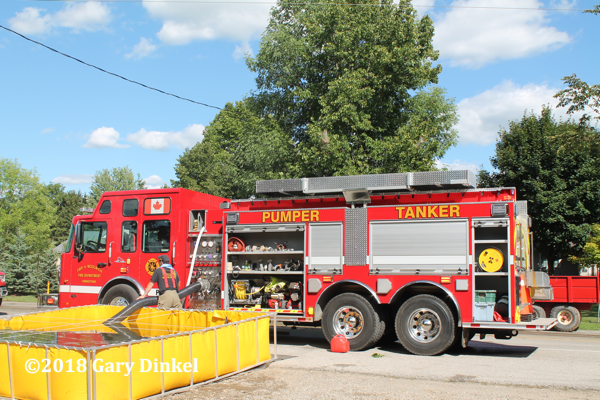 Water was shuttled from a cistern and then the dam in Winterbourne for the Conestogo pumper approximately 1.5 miles south of the scene. Water for Maryhill’s pumper was shuttled from a cistern two miles east of the fire. 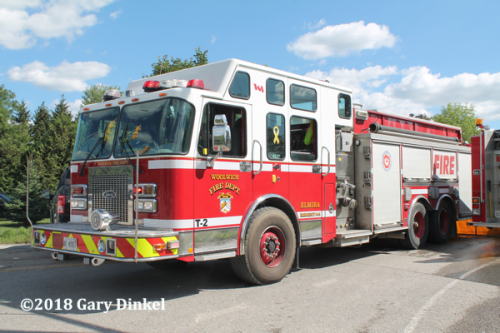 Center Wellington fire, Elora station arrived at the fire with a pumper and tanker having been dispatched by Guelph fire for smoke in the area. 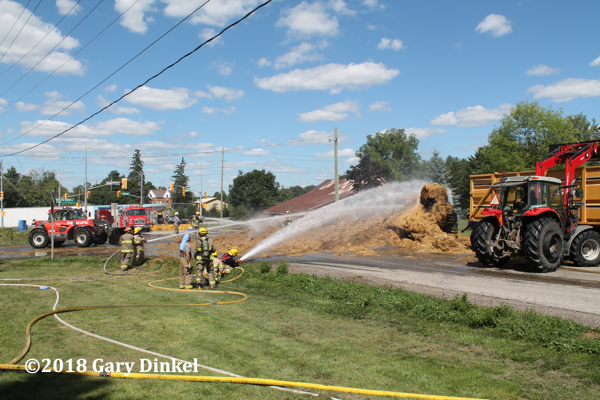 The border between Wellington and Waterloo County is approximately 1.5 miles from the fire. 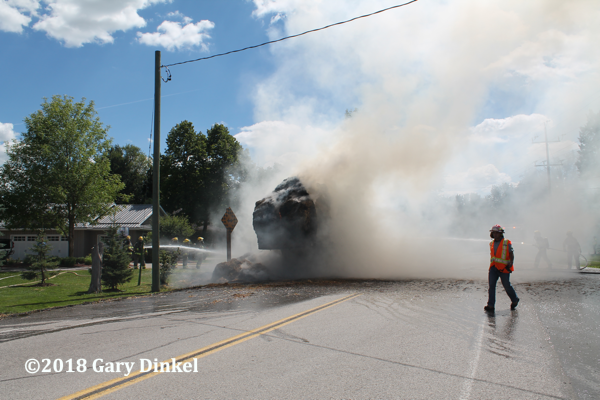 Elora firefighters checked with command to see if they would like their assistance. 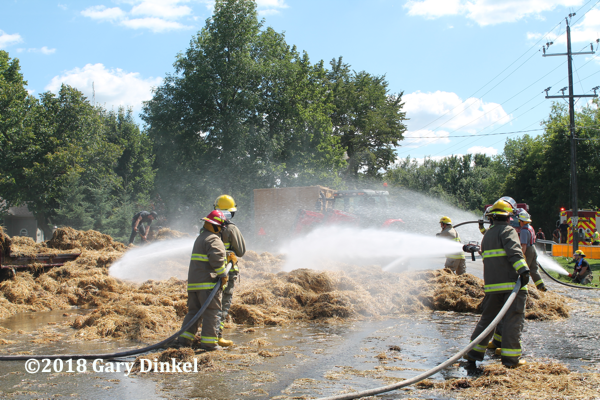 Due to the hot day command asked them to stay and help knock the fire down. They helped with water supply and firefighters went on air to relieve Woolwich crews. 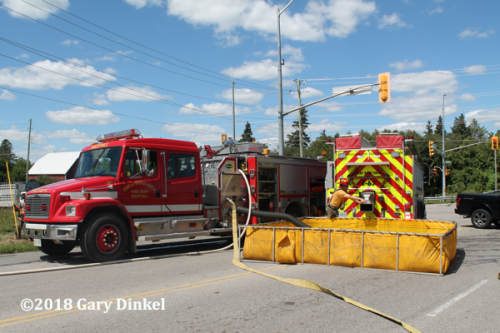 Command requested Elmira fire respond with manpower and their tanker. 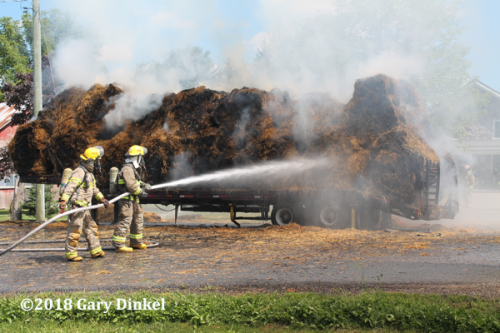 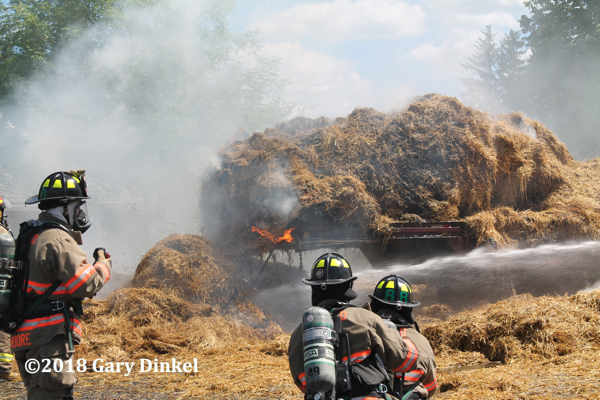 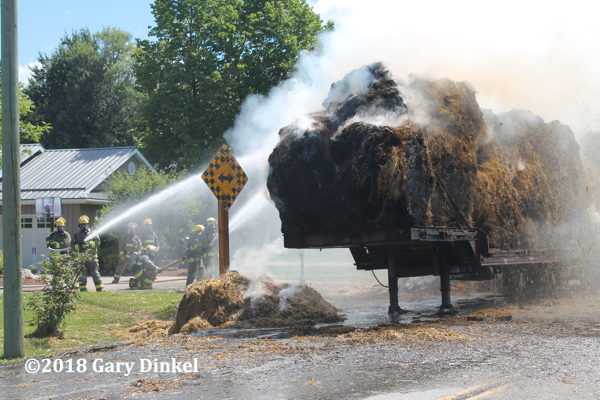 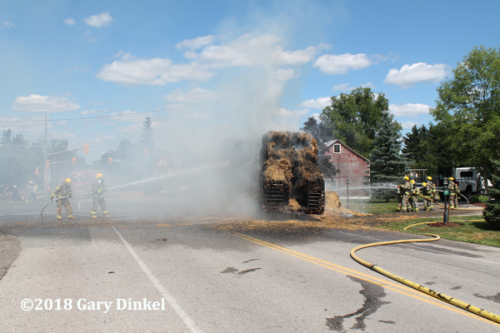 The fire was knocked down in 40 minutes but overhaul lasted two hours as tractors had to pull the straw from the trailer, soak it down, then load in trailers to be driven to a nearby farm to be composted. 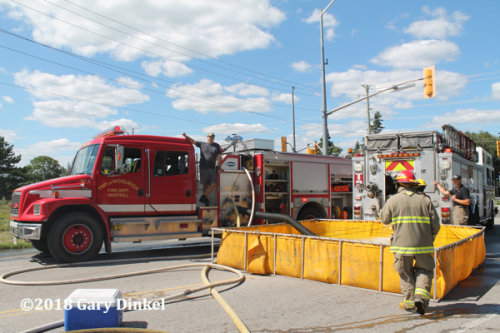 This was the first fire for Conestogo’s pumper tanker that had just gone into service the week before. 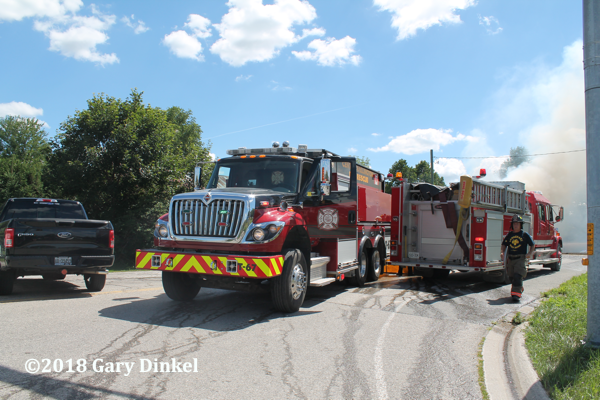 Box 690 provided rehab serving 135 cold drinks and 105 snack items. Photos and video taken 25 minutes into the call.